A diverse and fascinating tour covering roughly 2,000 miles on an overland journey throughout the little-known ex-Soviet countries of Belarus, Ukraine and Moldova. 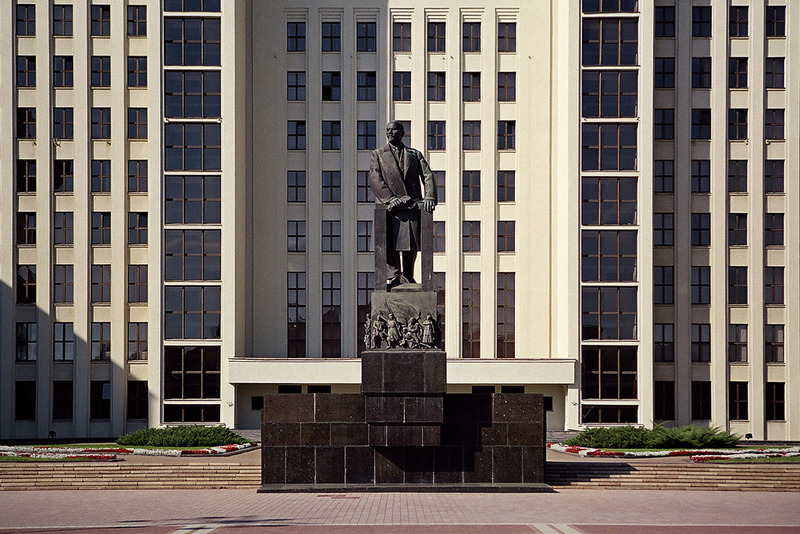 Minsk enjoying its many museums, squares and Stalinist architecture. Polotsk, which is over 1200 years old and one of the most historical cities in Belarus. Berezinsky Biosphere Reserve, a UNESCO World Heritage Site and the oldest reserve in Europe and home to more than 4,000 species. 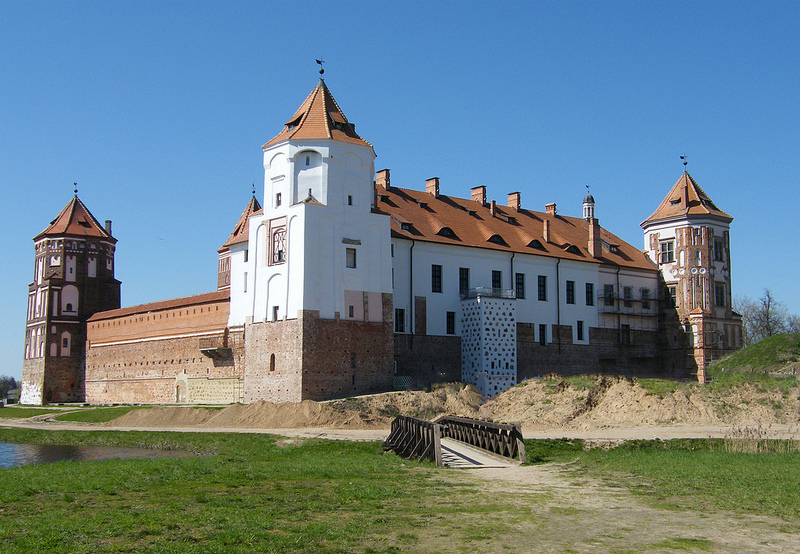 UNESCO sites of Nesvizh Palace and the Mir Fortress. 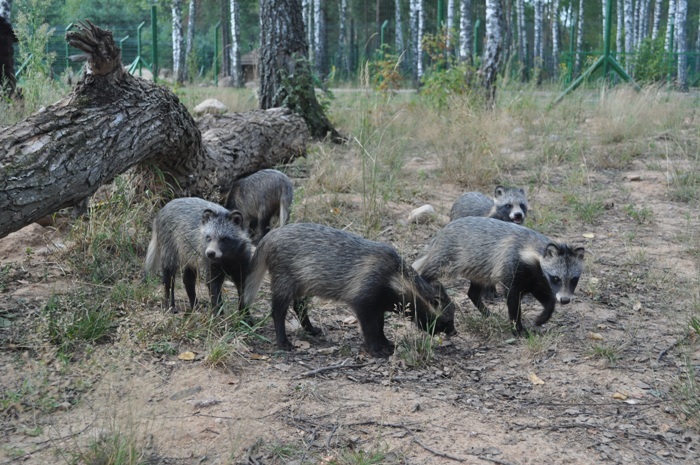 Białowieża Forest (UNESCO) that’s home to some 800 European bison and 250 animals and birds. 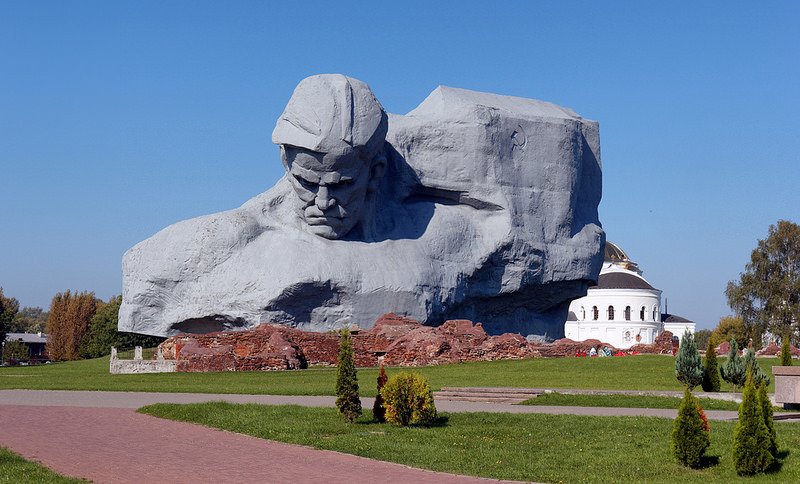 Brest Fortress, a massive fortification built in XIX century by Russian Empire. Scenic and historic Lubart’s Castle from the 14th century. 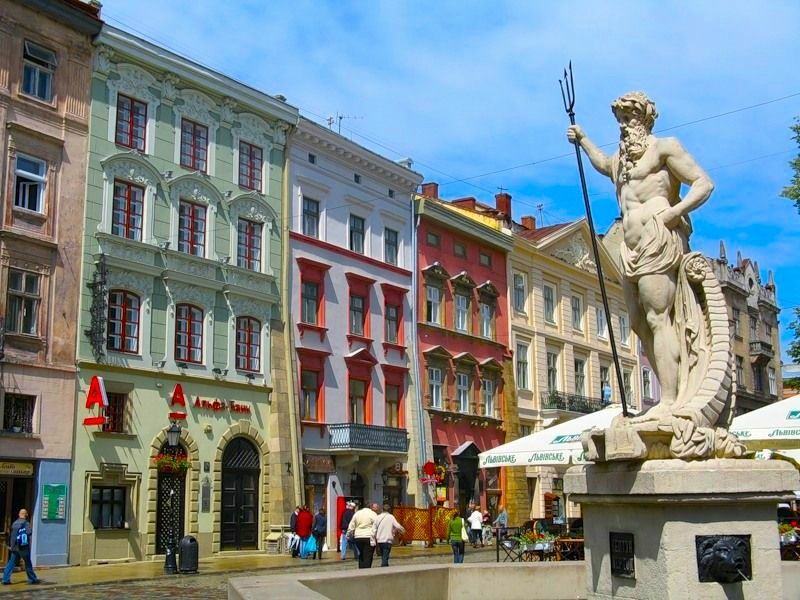 The fascinating and beautiful cultural city of Lviv, a UNESCO World Heritage Site. 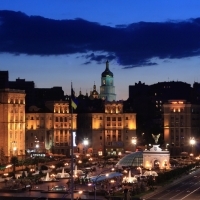 World-class city of Kiev with its beautiful architecture, vibe and many sites. 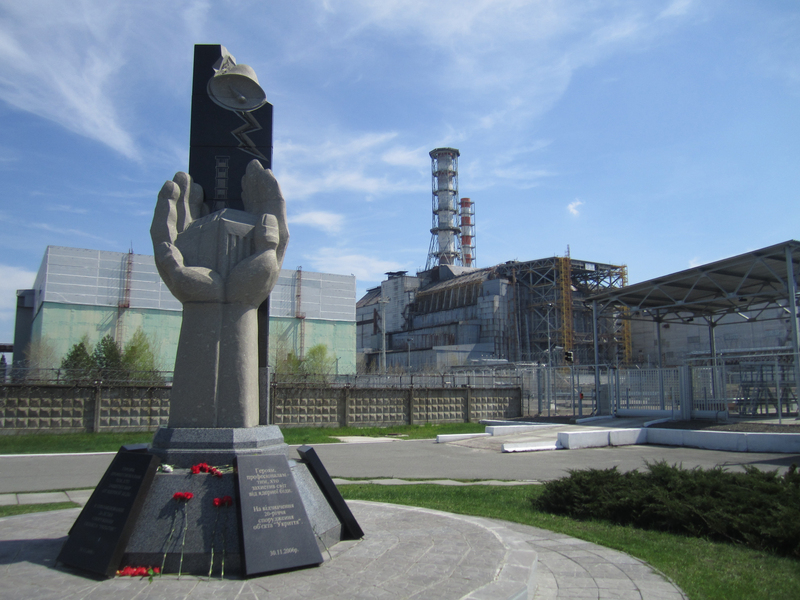 The sobering and endless interesting site of Chernobyl. Odessa on the Black Sea with its lovely beaches, museums and 19th-century architecture. 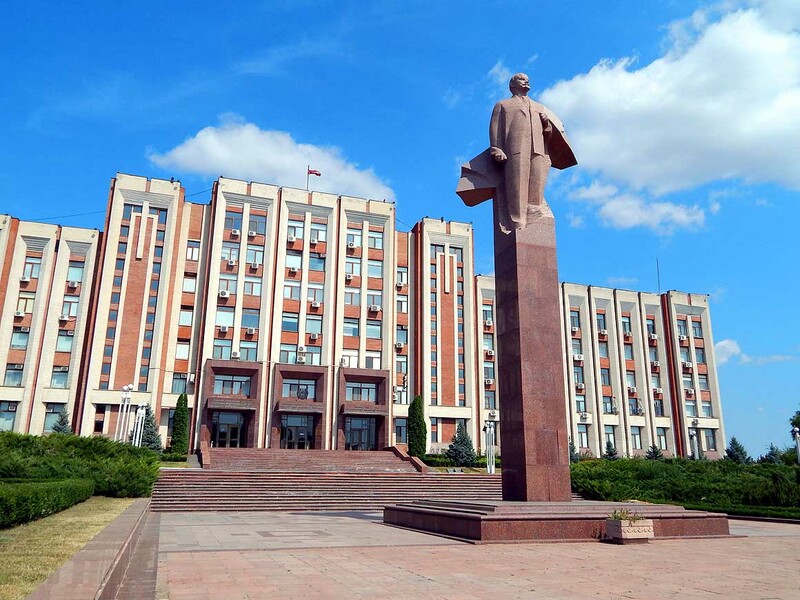 Republic of Transnistria and its many monasteries, capital of Tiraspol and fortress. Wine sampling throughout Moldova at Cricova and Milestii Mici. The green and leafy city of Chisinau. 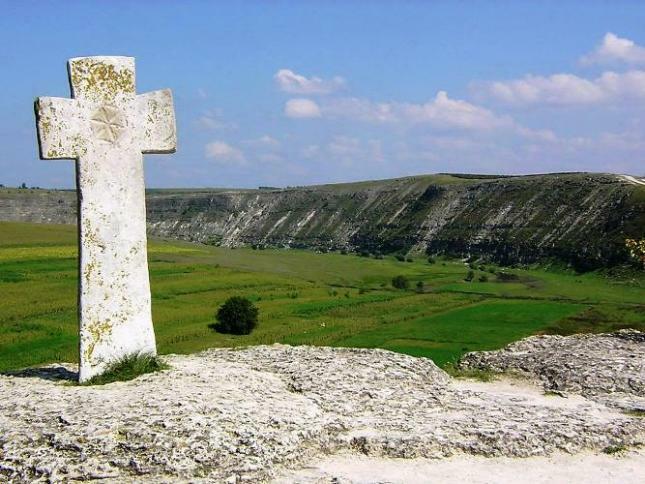 Beautiful and ancient monasteries throughout Moldova. All entrance fees and activities as per the itinerary. Arrival in Minsk, Belarus. Depending on your arrival time, there may be time to briefly tour the city. Overnight in Minsk. 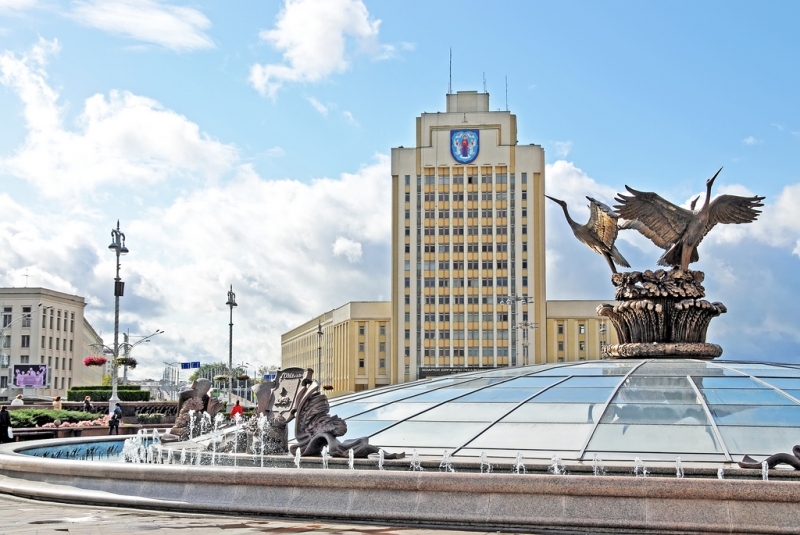 This morning we will venture out and visit the main sights of Minsk, including the Independence Square; Victory Square and the Island of Tears, a monument to the fallen soldiers in the Soviet campaign against Afghanistan; the Museum of the History of the Great Patriotic War, and the old town. Overnight in Minsk. Today we will head to the eastern Belarus city of Mogilev, founded in the thirteenth century and only some 75 or so kilometers from the border of Russia and the country’s third largest city. Here we will visit the Museum of Ethnography; St. Stanislas Church, with its original frescoes survived WW2 remarkably well; the 1668 St Nicholas Monastery with its many beautiful frescoes; and Buinichi Field, a war memorial chiefly to the WWII soldiers and civilians who defended the city for 23 days in July 1941 when Belarus was part of the USSR. Overnight in Mogilev. 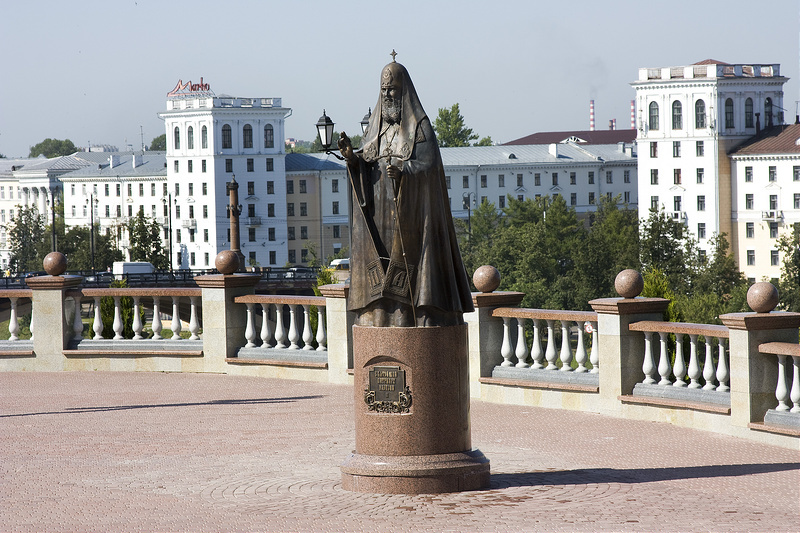 After breakfast we will drive to the historic city of Vitebsk, a short distance from Russia and once the center of Jewish culture when it was one of the major cities of the ‘Pale of Settlement’, where Jews were allowed to live in the Russian Empire. Surrounded by stunning countryside, Vitebsk is now an important center of arts and culture and is often referred to as the “Cultural Capital” of Belarus. Overnight in Vitebsk. Depart Vitebsk in the early morning and drive approximately two hours to Dzisna to meet local villagers and view the rural life of Belarusians. 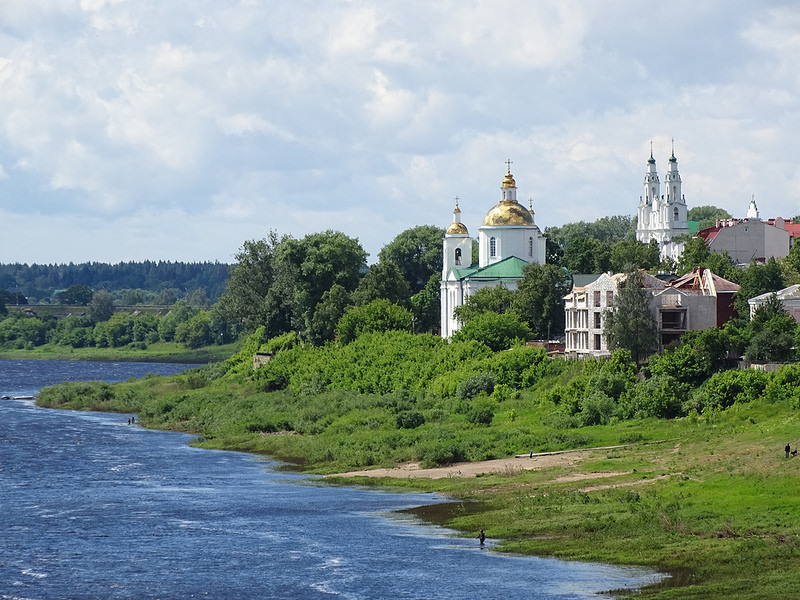 Later continue to Polotsk, which is over 1200 years old and one of the most historical cities in Belarus, to visit the cathedral of St Sophia, dating back to the 11th century, as well as the 12th century Convent of St Ephrosinia. Overnight in Polotsk. This morning we will drive to the Berezinsky Biosphere Reserve, a UNESCO World Heritage Site and the oldest in the system of the European preserved natural territories. Flora and fauna there are amazingly diverse with more than 6,000 species. We will spend a couple of hours in search for wildlife and birds in this peaceful area. 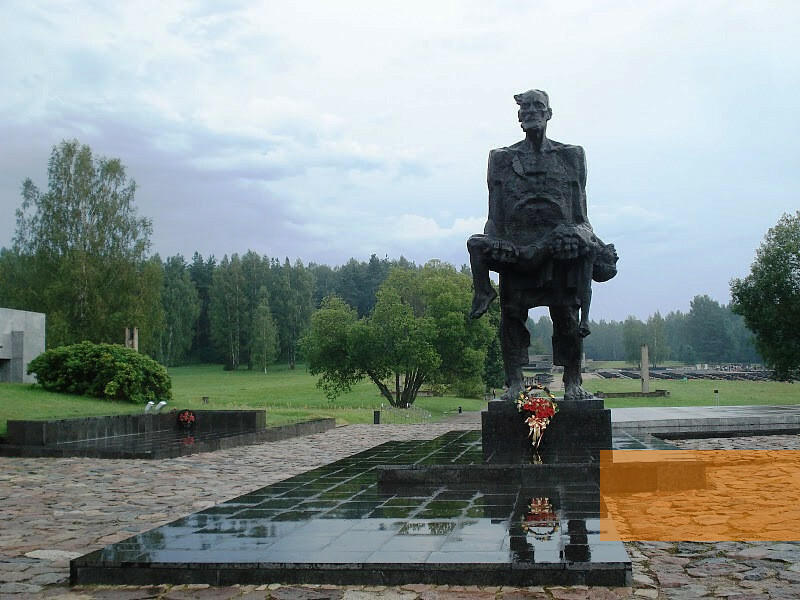 Later we will continue to Minsk with a stop in the village of Khatyn to view one of the most haunting memorials of World War II in all Europe. Overnight in Minsk. 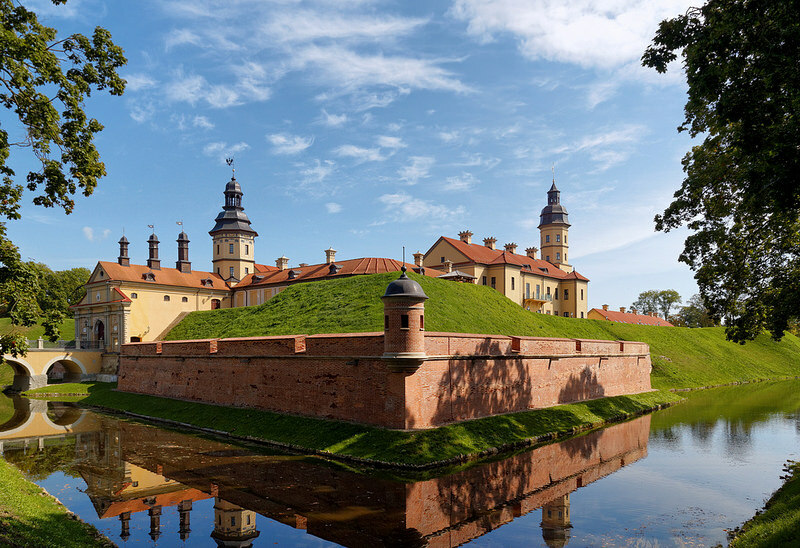 We will head outside of Minsk today to visit its two main nearby attractions of Nesvizh Castle and Mir Fortress. Nesvizh Palace is considered the country’s most beautiful palace. 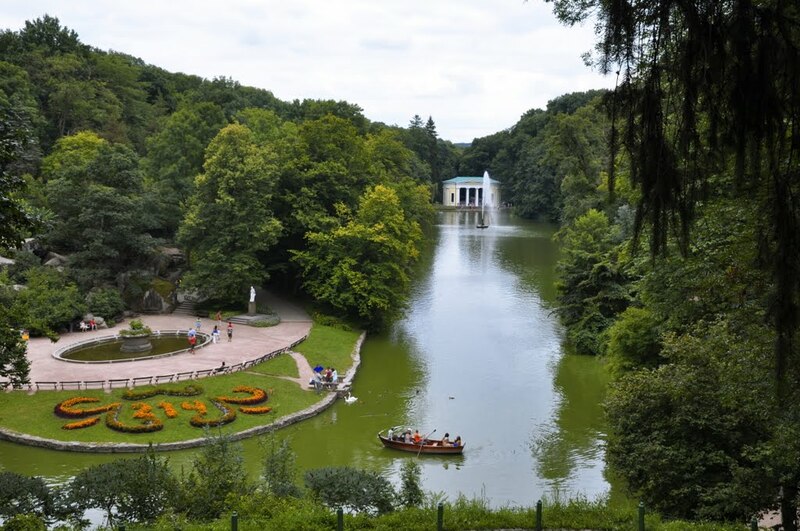 Its richly diverse architecture and attractive gardens make it one of the most popular tourist attractions in Belarus and is a UNESCO World Heritage Site. We will tour the beautiful grounds of this palace before continuing our journey to Mir Fortress, also a stunning UNESCO site and one of the highlights of our time in Belarus. The castle is a unique monument of Belarusian architecture and has incorporated several architectural styles (Gothic, Baroque, and Renaissance) over a period during which it was destroyed and restored repeatedly. The three-storied castle is decorated with limestone portals, balconies, and porches. The square building has five tall towers at the corners, with a drawbridge and grille to prevent an ambush. Built as a fortress, the castle was designed to defend itself in an armed attack, and its walls have loopholes for heavy cannon firing. 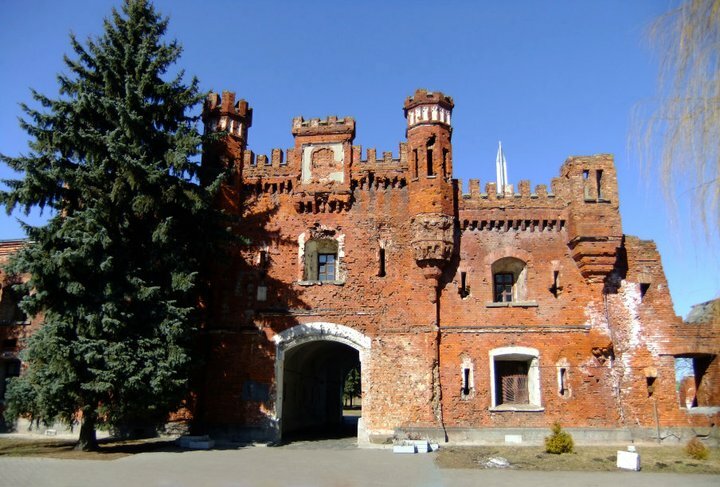 During World War II, the Mir Castle was used as a ghetto for the Jewish population. 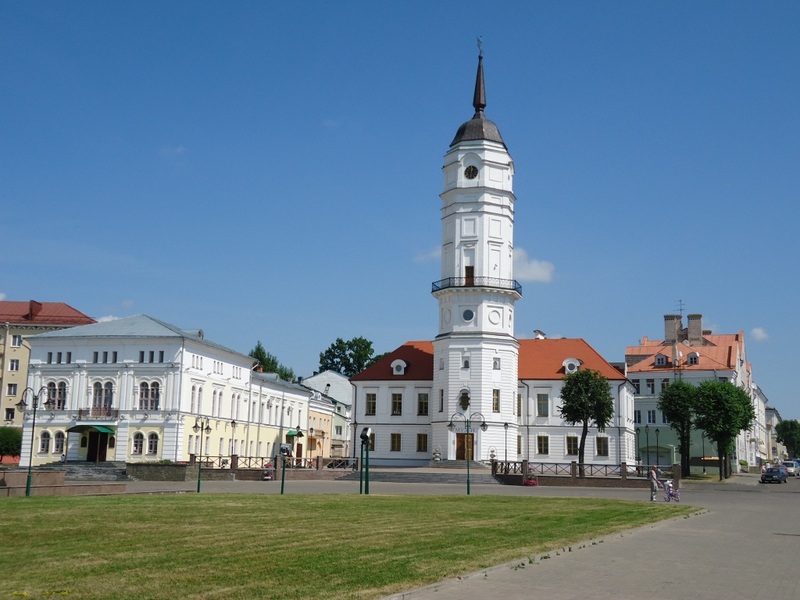 Later we will continue to Grodno, a pleasant town near the Lithuanian border. Overnight in Grodno. We will start our morning with a tour around Grodno, visiting both the Old and New Castle’s and St. Francis Xavier Cathedral, a Baroque church and originally a part of a Jesuit monastery. Later we will drive roughly two hours to the famed Belovezhskaya Pushcha National Park, located in the Białowieża Forest, is a UNESCO World Heritage Site and primeval forest that’s home to some 900 plants, 800 European bison (Europe’s heaviest land animal), and 250 animals and birds, including several rare species. We should have ample time to enjoy some walks and sightseeing around this beautiful and little-visited national park. Overnight in Kamianiuki. For those interested, there should be an opportunity for an early morning walk around Belovezhskaya Pushcha NP to spot birds while they are at their most active, and hopefully some wandering bisons. 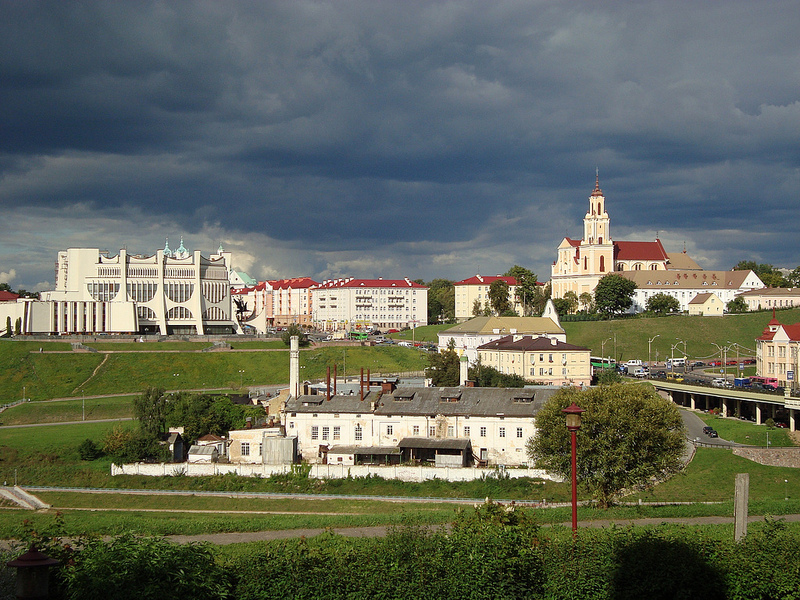 Next we will continue to Brest, Belarus’ second largest city near the border of Poland. 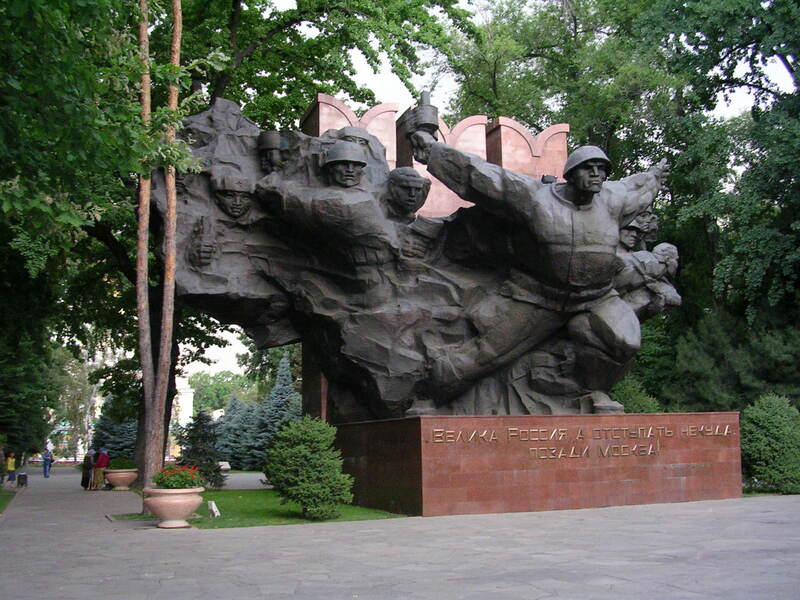 We will spend the day visiting, among other places, the Brest Fortress, a massive fortification built in XIX century by Russian Empire, that achieved “Hero Fortress” status during World War II. Walking the grounds of this great fortification is a moving experience that gives a good sense of the privations faced by the forces that were besieged there. Overnight in Brest. 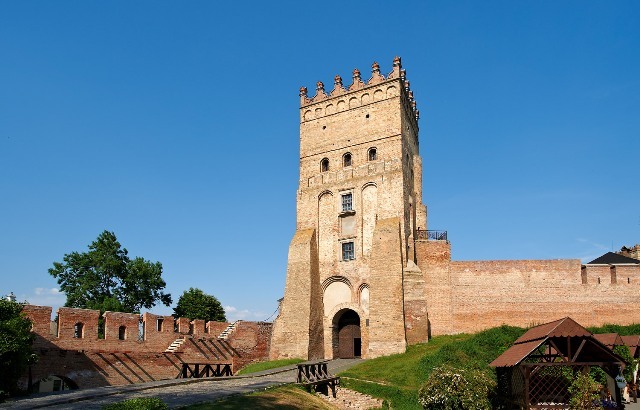 A long day of travel today starts with a roughly four hour drive to the city of Lutsk, one of the most ancient and charming cities in Ukraine and where we will visit the Lubart’s Castle from the 14th century and Market Square. 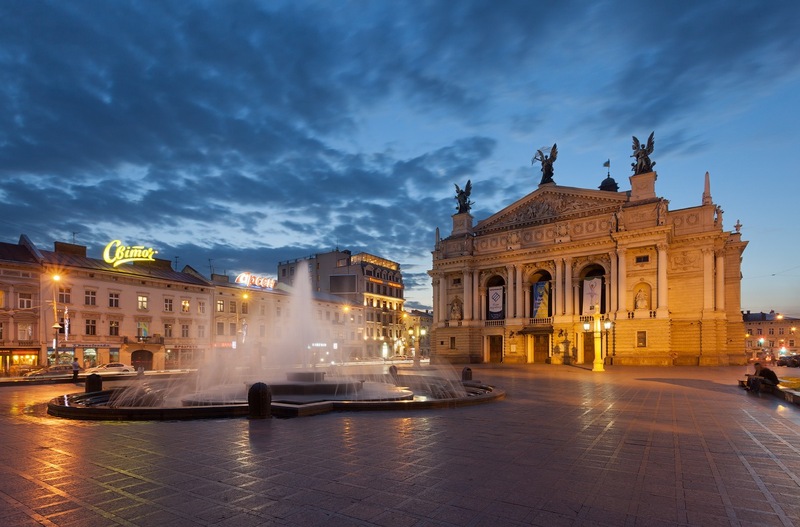 Later we will continue our drive to the beautiful UNESCO-listed city of Lviv, where we will do a short panoramic tour of the city. 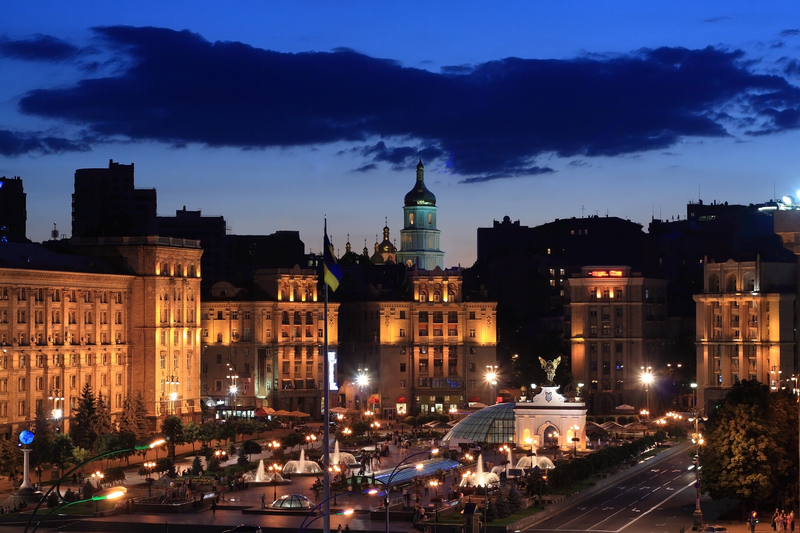 The stunning city of Lviv is the heart of the western Ukraine. The city was once under the rule of many empires and nations and it left a considerable mark in its culture, architecture and language. Today we will be properly visiting all of Lviv’s principal sites, including the Opera House; the fascinating Lykachivsky Cemetery, one of the oldest graveyards in Europe, and the most gorgeous churches and cathedrals in the old town including the Baroque-style Jesuit Cathedral, the Virgin Mary Assumption church, the Armenian Cathedral with 16-17th century tombstones, the Church of the Blessed Eucharist (former Dominican Church), the Latin Cathedral and the Transfiguration Church. Overnight in Lviv. This morning we will set off on our long six hour drive to Kiev throughout central Ukraine, and arriving in the late afternoon. 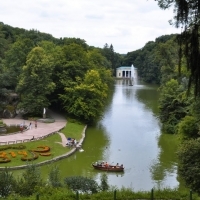 After resting from our drive for awhile and before dinner, we can enjoy an introductory walking visit of Kiev. Evening at leisure, where some may enjoy heading out to photograph the beautiful city at night. Overnight in Kiev. After breakfast, we will first head out to visit the Kiev Monastery of the Caves complex, a historic Orthodox Christian monastery with its stunning churches and underground tunnels. 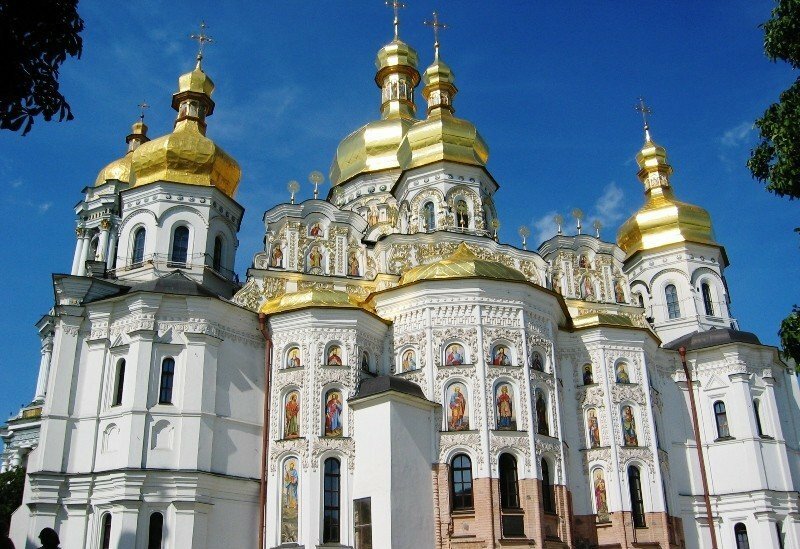 Back in the city center of Kiev, we will see, among other places, the ancient ‘onion-domed’ St Sophia Cathedral, and the Golden Gates, the only remaining section of ancient Kiev’s original fortifications. Overnight in Kiev. Leaving Kiev early in the morning, we will head to Chernobyl. 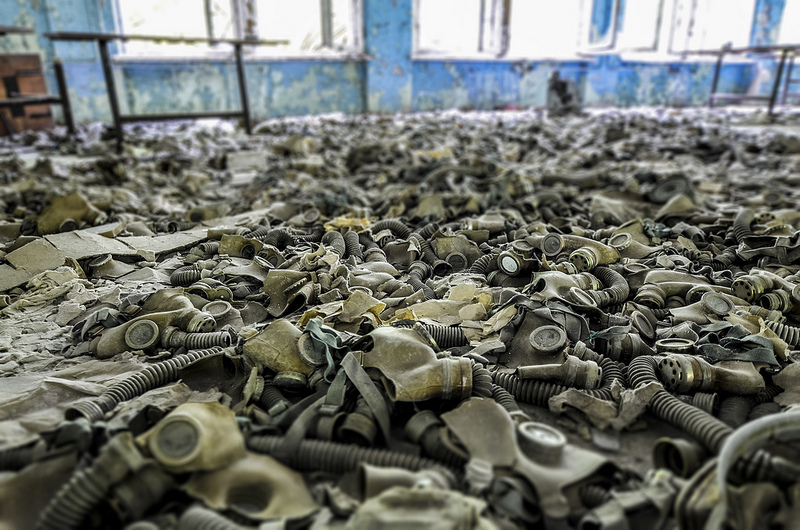 Chernobyl, was a catastrophic nuclear accident that occurred on April, 26 1986 at the Chernobyl Nuclear Power Plant in the city of Pripyat, then located in the USSR. An explosion and fire released large quantities of radioactive particles into the atmosphere, which spread over much of the western USSR and Europe. The struggle to contain the contamination and avert a greater catastrophe ultimately involved over 500,000 workers and cost an estimated 18 billion rubles. During the accident itself, 31 people died, and long-term effects such as cancers are still being investigated. Overnight in Kiev. This morning we will set out on our five hour drive the the vibrant seaside city of Odessa, crossing much of the country en route and stopping off at Uman, a historic pilgrimage city for Jews, and visiting the famous Sofiyivka Park (including the Museum of Strategic Missile Forces, and ex-secret nuclear Soviet base and the only place in the world which allows you to visit top-secret facilities of the former Soviet Union related to the nuclear missiles of mass destruction. All equipment, surface and underground facilities are fully preserved in the same condition in which they were). We should arrive in Odessa in the mid-afternoon and should have an opportunity for a short walking tour of the city before dinner and an evening at leisure. Overnight in Odessa. Today we will explore the city of Odessa, visiting the Alley of Glory with the Eternal Fire and the Monument to a Sailor, before continuing to a network of abandoned caves and tunnels created by limestone excavations beneath Odessa. Later we will visit the Potemkin Steps – pivotal in the 1905 Russian Revolution, as well as its Opera House, considered to be one of the most beautiful in Europe. In the afternoon, we will have some time to wander the beautiful city on our own. Overnight in Odessa. Today we leave Odessa and go to Chisinau via Transnistria. Here we will be visiting: Noul Neamţ Monastery (an all-male Moldovan Orthodox monastery); Tighina Fortress (most powerful of the medieval cities of Moldova which was an important trade outpost), then exploring Bender city ( a city within the internationally recognized borders of Moldova under de facto control of the unrecognized Transnistria) and Tiraspol (the second biggest city in Moldova, and the capital of unrecognized country of Transnistria). 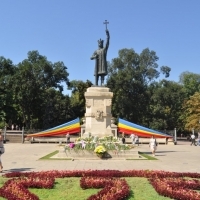 Later we will drive to the capital of Moldova, Chisinau, for an overnight. After breakfast, we will thoroughly explore Chisinau. 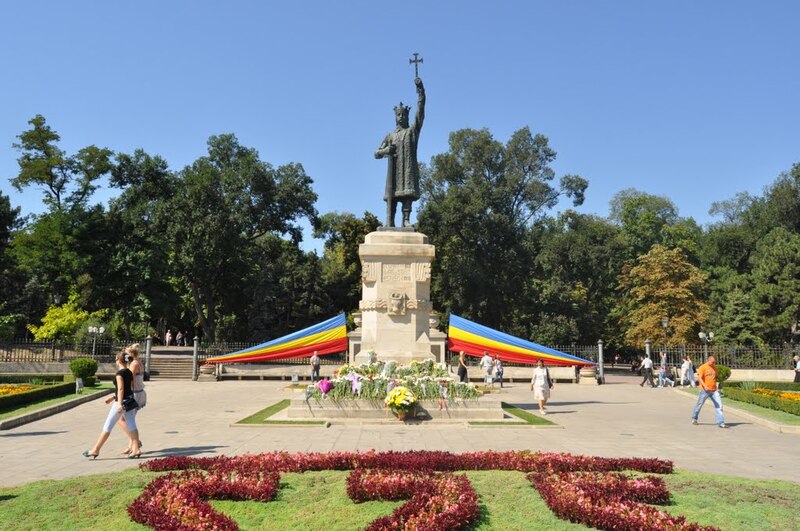 We will see both the historic and the modern faces of Chisinau. 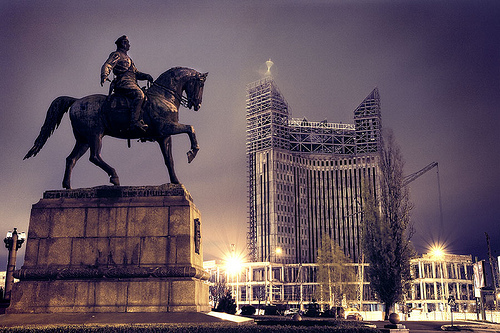 On Stephen the Great Boulevard there are many administrative buildings – the Presidential palace, the Parliament, and the City Administration. 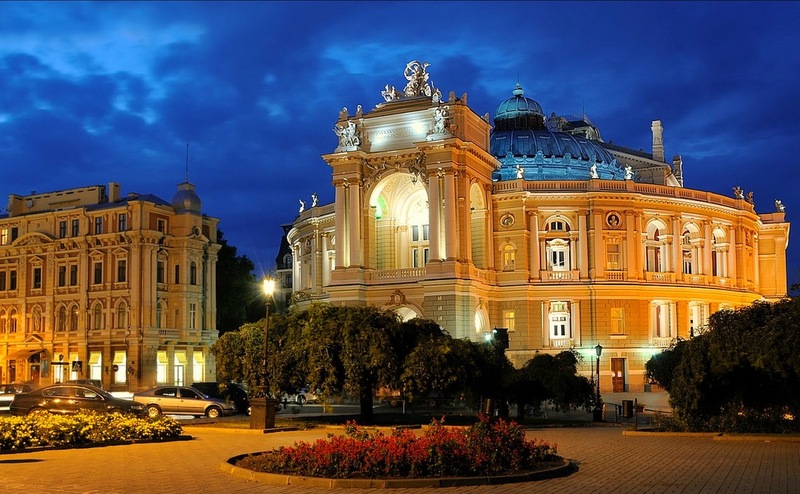 There are cultural centers such as the National Theater M. Eminescu, the Organ Hall, Theater of Opera and Ballet. 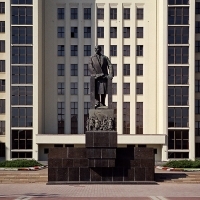 Well-known architects and poets such as Bernardazzi, Sciusev and Pushkin gave Chisinau a unique character. After lunch, we will journey over to Cricova to taste four different varieties of wine. 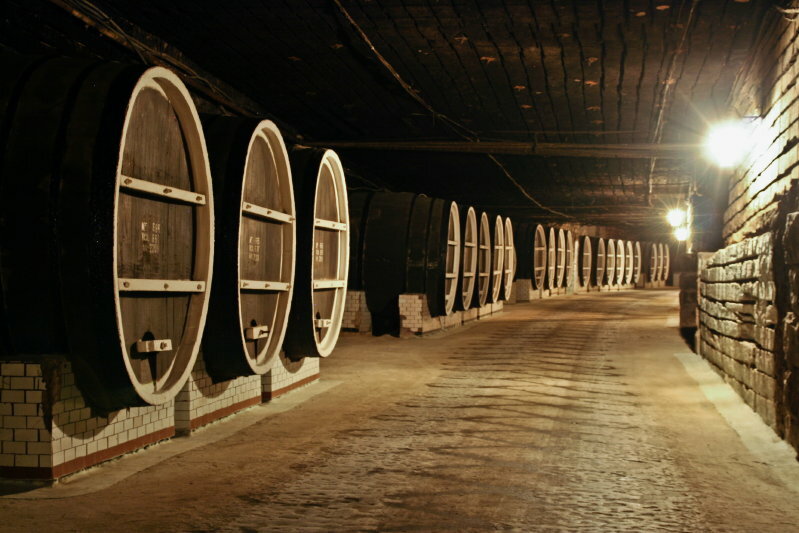 It is Moldova’s premiere winery and one of Europe’s largest. Overnight in Chisinau. 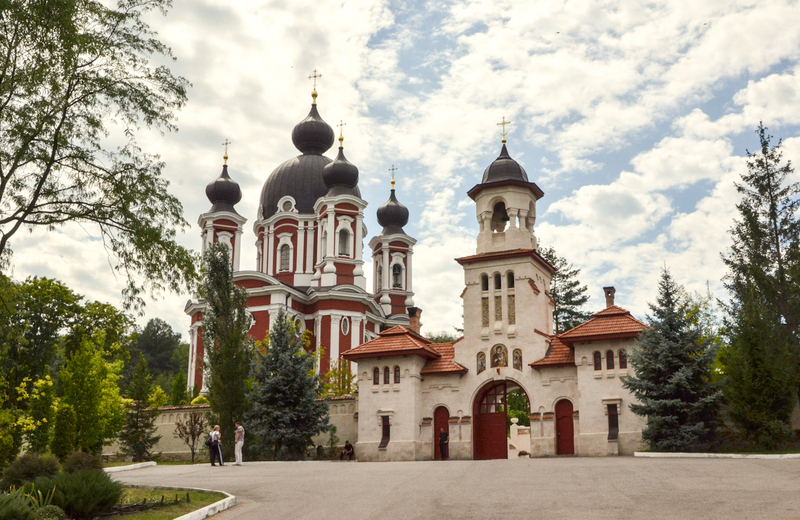 This morning we will venture out to Capriana and Hâncu Monastery, which represent the holiest symbols of Moldova’s history and culture. 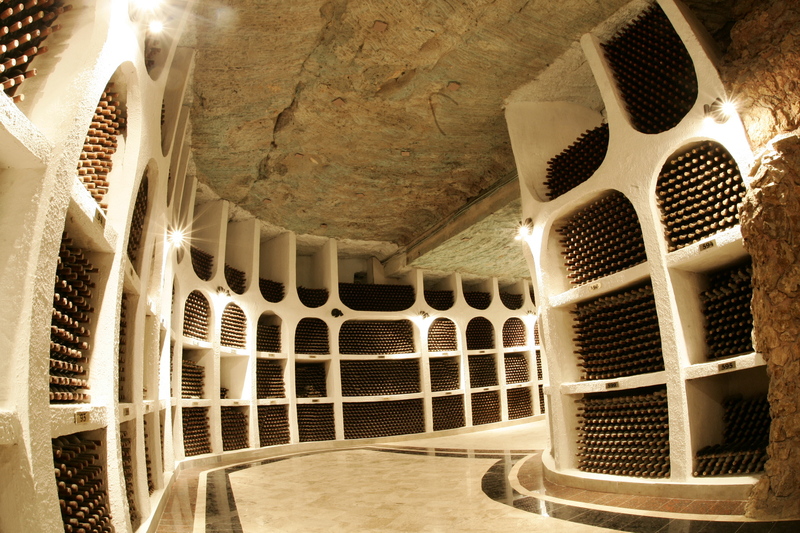 Later we will visit the Milestii Mici winery for wine tasting and a tour of the facility. Overnight in Chisinau. Today we will visit Old Orhei/Orheiul Vechi and the traditional village of Butuceni – an archaeological complex that is an open-air museum situated between the villages of Trebujeni and Butuceni. The museum complex of Old Orhei is a system of historical monuments and natural landscapes. Next we will continue to Curchi Monastery, which is one of the most important architectural monuments of Bessarabia, and it is also considered to be one of the most beautiful and famous monasteries of the region. 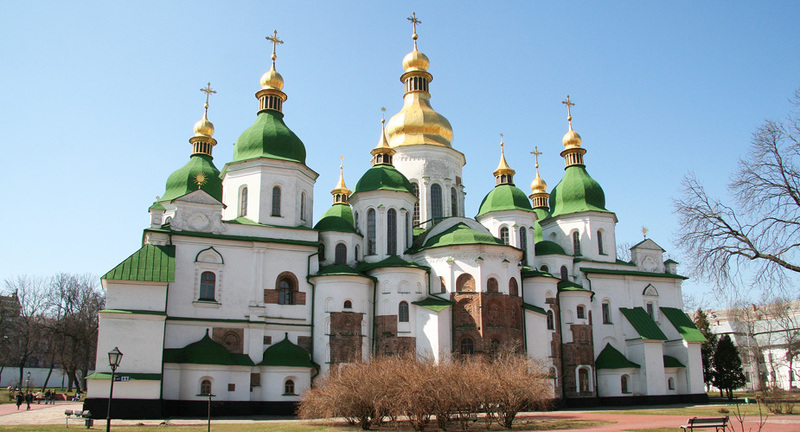 Later we will explore Tipova Monastery – the largest monastery in Europe among cave monasteries. Overnight in Chisinau. This morning we will have our final breakfast together to wrap up our fantastic three weeks around Belarus, Ukraine and Moldova. Airport transfers and departure.